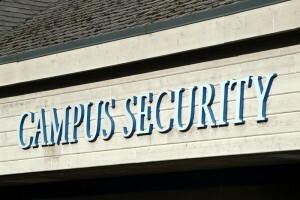 Campus security is a topic we’ve covered in several recent blogs. From the role of social media in campus security to the advantages that IP video surveillance, campus security is constantly evolving and improving with the integration of new security technologies. Two of these technologies are biometrics and remote environmental monitoring, which when used together offer advanced protection for the IT components that are critical to the success of any campus security operation. Biometric access control systems offer the most advanced protection for secure areas. This is because unlike other access control methods like a PIN number or access card (which can be confiscated and used by someone else), biometrics definitively verify the identity of the person requesting access. When combined with one or more traditional access control verification systems, this creates a highly effective access control method that ensures only those with the right credentials will be able to access secure areas. Biometric readers can also tell the difference between a real fingerprint and a picture or silicon imprint of a fingerprint. Readers can incorporate a duress feature that allows anyone being forced to enter a room against their will to trigger a silent alarm, alerting other security personnel. The system’s controller unit can be located separately from the reader, creating a two-part system that prevents tampering of the controller. Battery power can be used to back up the unit in case of a power outage. And of course, biometric access control systems provide a digital record of the entry dates, times, and identities of all entry requests. Monitoring the environments in which IT components of a campus security system are housed is another important task for campus security. An environmental change such as excess moisture could damage equipment and compromise security operations. Remote environmental monitoring ensures that security personnel can keep tabs on the environmental status of all locations where security IT equipment is housed. Sensors can be setup for humidity, temperature, smoke, airflow, water leaks, and power disruptions. Others can detect when doors to server cabinets are opened, and left open for longer than a predetermined amount of time. IP cameras can be used to support these operations. In this way, security will never be caught off guard by an environmental shift that could potential damage critical equipment. This entry was posted on Thursday, March 26th, 2015 at 1:46 pm. Both comments and pings are currently closed.